So as long as Indiana Jones and the Kingdom of the Crystal Skull wasn’t a complete disaster, we were always going to like it. And we did. Harrison Ford can still pull it off. Spielberg still has the deft action touch. Lucas has some good ideas left. This new Indy movie is action-packed popcorn cinema at its finest, with a tip of the hat to those original old serial flicks, and the kind of cool historic and mythological subtext we’ve come to expect. This is what it is and what is was meant to be. I loved the initial 50’s jumppoint and Indy backstory. Loved the whole setting, quest element, and uber-story-line. I really liked Shia LaBeouf as Mutt (and thought they could’ve done a little more with him). The action set-pieces were excellent as well, if a little overdone. I had some concerns about Indy’s creaking joints and ability to take a punch, but 30 minutes into it and this was no longer an issue. So if you like the Indy movies but were worried about the proverbial one more trip to the well, relax. You shouldn’t miss Crystal Skull. It’s an Indiana Jones movie and well worth your entertainment dollar. 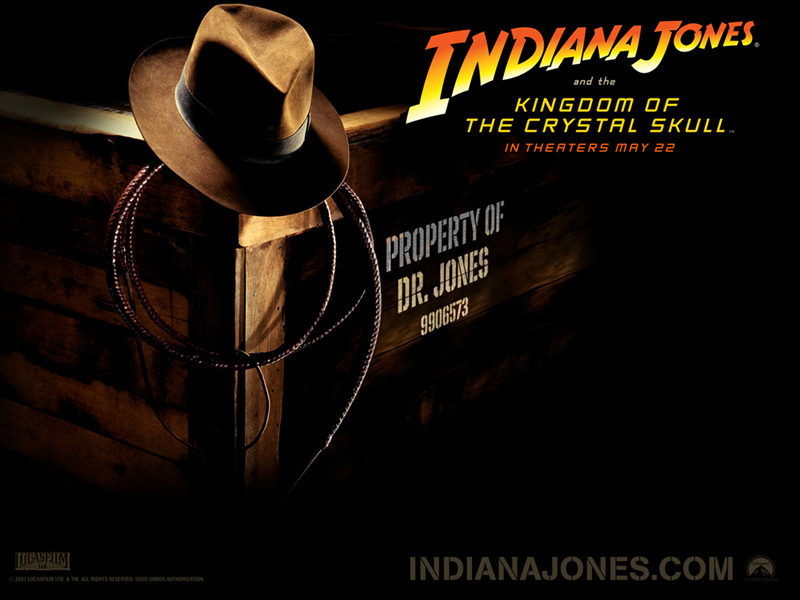 With today’s opening of Indiana Jones and the Kingdom of the Crystal Skull, we are now in active spoiler-and-snarky-review-avoidance mode since we won’t actually be attending the movie until Saturday. So don’t even try it. I kind of wanted to go opening night, but it’s turned into an actual family outing, which should be cool. 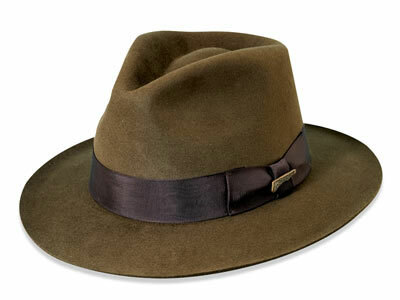 Celebrated Fedora Day by wearing mine and taking the afternoon off from work. No work tomorrow either. Will watch The Temple of Doom tonight and The Last Crusade tomorrow, and also the History Channel’s special on the historical inspiration for the Indy movies I recorded earlier in the week. I’ve also applied a new visual theme, so head over to the blog-actual and see what you think. Well, okay. Don’t go overboard, there, George. But it’s kind of more than just a movie as you well know, so we all hope you were on your A-game. Watch it here (lower res) or download the Quicktime in 1080 HD. ‘Ol Indy looks a bit… grizzled… and hopefully there aren’t too many more old-age jokes, but we’re pretty excited around here. Yes, Peter Jackson has finally ended his feud with New Line and agreed to produce The Hobbit movie. Or movies. Apparently Pete wants to do two films to cover the story, the second of which may provide a bridge between Tolkien’s first book and the LoTR trilogy. Hmm. Does that mean new original story material in Middle Earth? It’s interesting because Jackson and Co. did such a fine job abridging, editing, and translating the trilogy into film, mostly a task of scaling down the story. Now two movies from a shorter book, which could mean some narrative expansion.